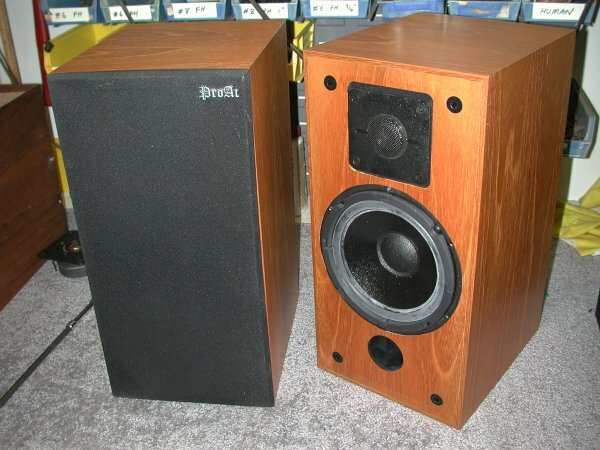 What do you do with a pair of old ProAc Studio 1 speakers that not only have rotted woofer surrounds, but damaged tweeters as well? You send them to me to turn them into HUMAN 61 speakers! We decided to retain the original input terminals, as they were nice beefy nickel-plated binding posts. First I removed the drivers, the t-nuts that they were bolted into, some of the internal damping foam, and the crossovers. 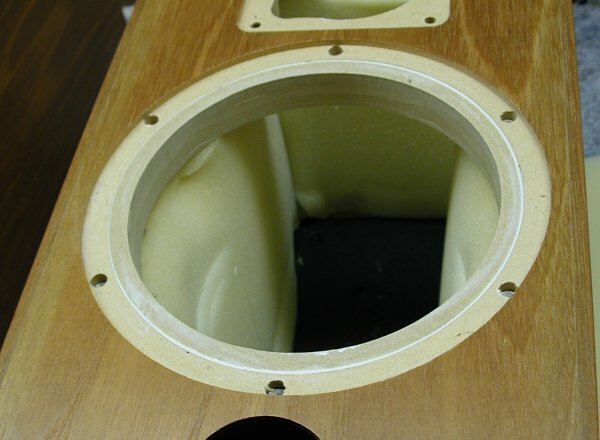 The next order of business was to deal with the metric woofer hole. 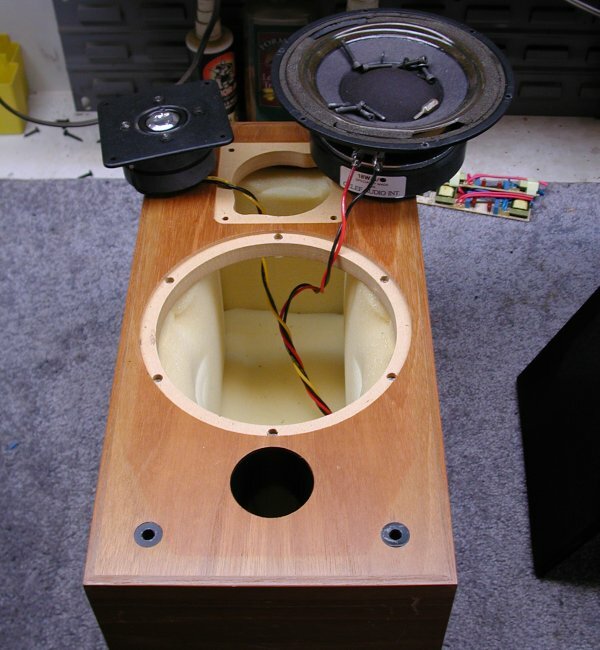 I had a pair of custom MDF rings made with an outside diameter to fit the cabinet and an inside diameter to snugly fit my woofer basket. I glued them in using a bit of hot melt to tack them and carpenter's glue for the structural bond. Then I used epoxy to fill all the original bolt holes, using pieces of tape behind them to stop the glue from pouring through. 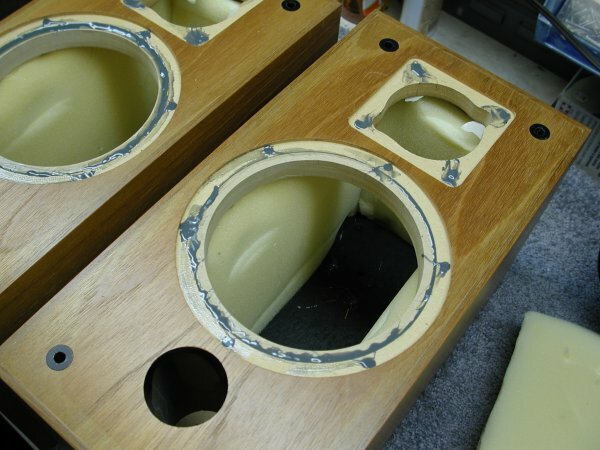 I also filled in where the wood glue had shrunk a bit around the woofer mounting rings. I scraped the epoxy smooth when it was 90% set and painted the entire rabbet area for each driver black. 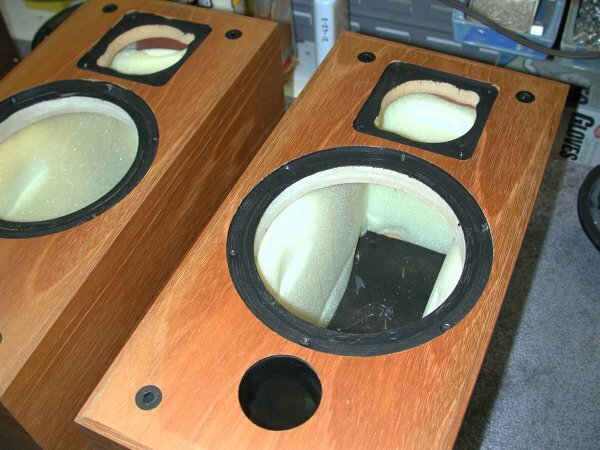 Using a Dremel with a routing bit, I cut the small "ears" required for my tweeter terminals. Then I installed the crossovers, replaced the foam I had removed, and added a bit more polyfill, drilled pilot holes for the screws, and installed the drivers. 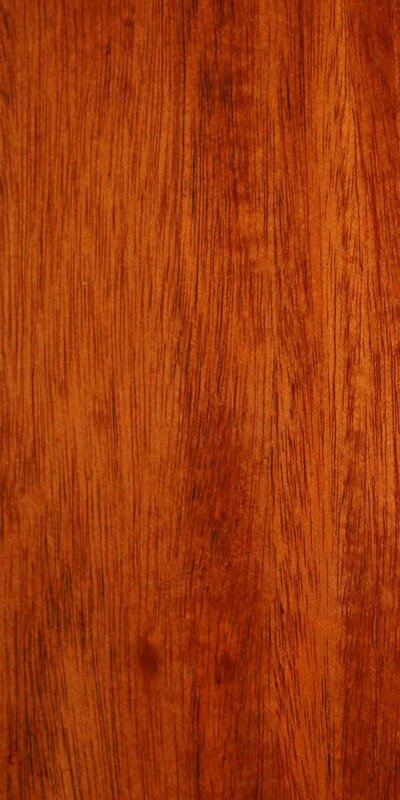 Then came the big question: would the vent be tuned appropriately for my woofer in this cabinet? 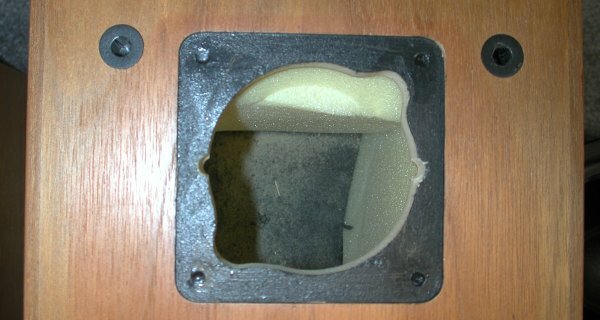 Luckily, it was, confirming my previous estimates based on the dimensions and port design of the Genesis V-6, a small vented system using this same woofer. 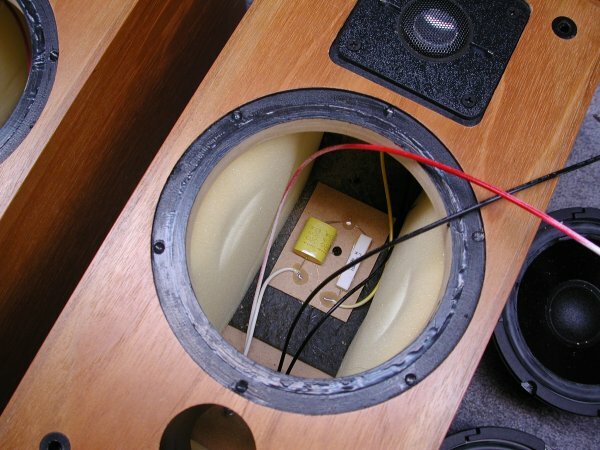 Frequency response will be from about 40 Hz to well over 20 kHz, plus or minus 3 dB, with power handling approximately 150 watts rms. Elapsed time: approximately three hours, not counting thinking. Billed time: half an hour, but it was fun.